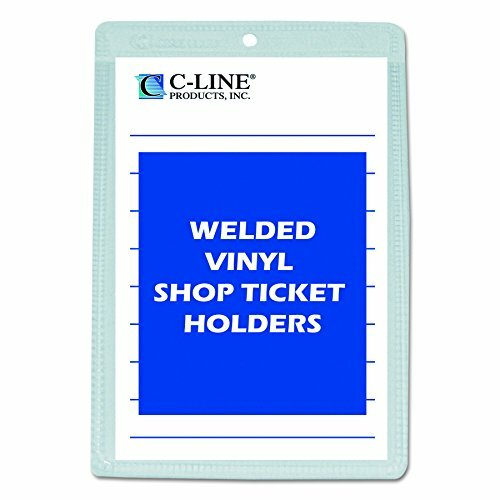 Sturdy and economical, these Vinyl Shop Ticket Holder keeps job tickets, work orders, production schedules, inventory cards and more secure and protected. Great for two sided documents because both sides of these strong vinyl holders are clear. Welded, non-rip seams hold up in even the roughest environments. Punched hole at top for convenient hanging. 5" x 8" size. 50 holders per box. If you have any questions about this product by C-Line, contact us by completing and submitting the form below. If you are looking for a specif part number, please include it with your message.